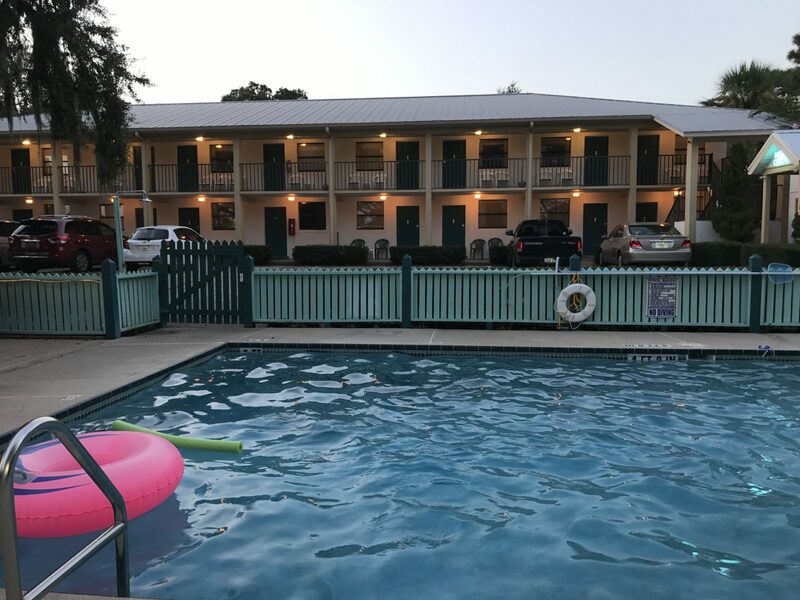 The Steinhatchee River Inn is an all suites motel. Every room begins with a sitting area, has a private bathroom and a shared terrace facing the swimming pool and Steinhatchee river. All suites have a microwave, mini fridge, coffee maker, WIFI, and cable TV. The suites offering a kitchenette will be additionally equipped with a full size refrigerator and freezer, stove top and oven, kitchen sink, pots, skillets, plates, cups, and utensils. They have extra storage space for food items and a dining table. The kitchen suites are ideal for any guest who grills out or enjoys the convenience and savings of eating meals on site.